Video Description: The indigenous Algonquin community of Barriere Lake has been fighting with the provincial government of Quebec and the federal government of Canada for nearly twenty years over their land. Blockades they have set up in the late 1980s stopped illegal logging on their land and led them to sign a Trilateral Agreement with the two governments. Today, the community claims the agreement and all others that followed have not been honored, while logging companies plan to resume operations. In an effort to exert pressure on the government and the logging industry, the community has set up several blockades in protest. 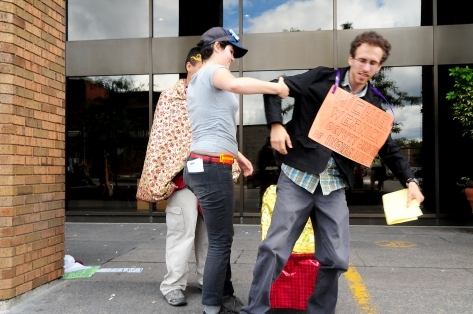 In response, the community's spokespeople and leaders have been arrested. Benjamin Nottoway, Barriere Lake's customary chief has been arrested at the last blockade and sentenced to two months in jail. As the day dragged on, Algonquins of Barriere Lake community members and supporters moved north to Gatineau and performed political street theatre in front of the Department of Indian Affairs. The scene depicts Chief Norman orchestrating a coup d'etat on Michael Wernick's territory with help from an Ontario police officer. 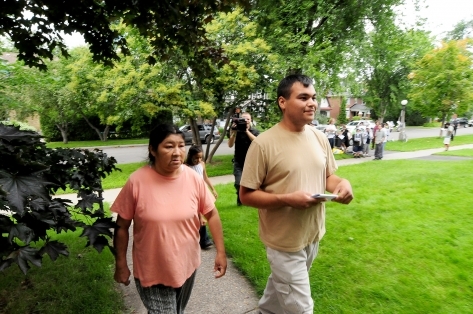 A delegation including Louisa Ratt, Norman Matchewan, and some children from Barriere Lake delivered a letter to Michael's house. The package contained a press release from the event and a letter, addressed from Grand Chief Norman Young of the Tribal Council to Indian Affairs Minister, Chuck Strahl, calling for Indian Affairs to oversee and respect the outcome of a new leadership selection in Barriere Lake. 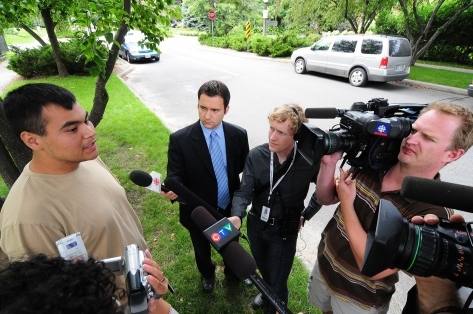 Norman Matchewan is interviewed by a ring of journalists outside of Michael Wernick's home. 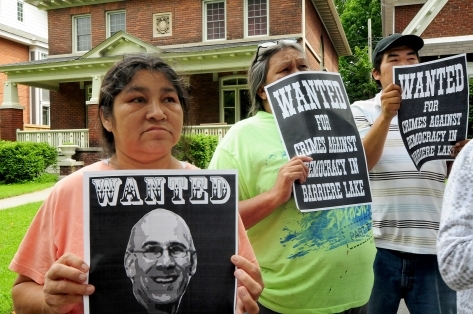 On Friday, August 8th Barriere Lake community members and supporters gathered at Deputy Minister Michael Wernick's house. 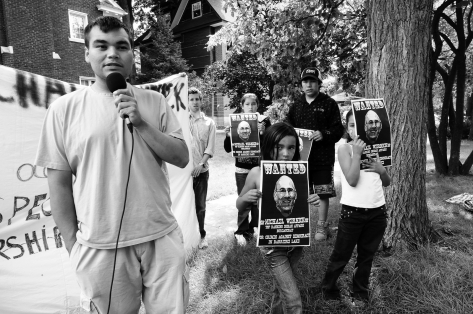 After appeals to their federal representative, Minister Lawrence Cannon, and protests at the offices of Indian Affairs were ignored, the community felt they were left with no choice.